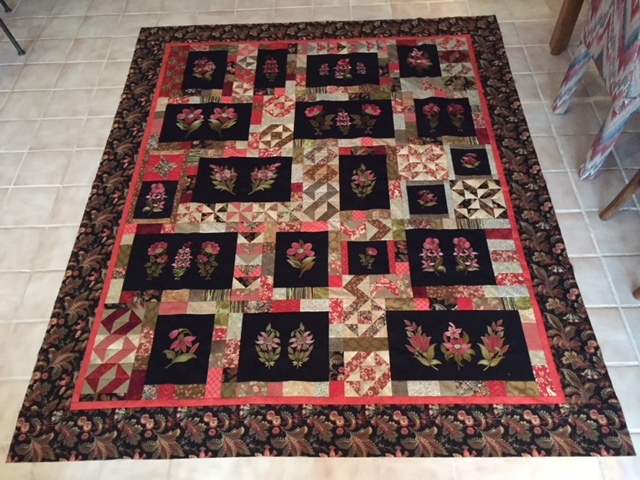 BFC 13th anniversary quilt top finished! 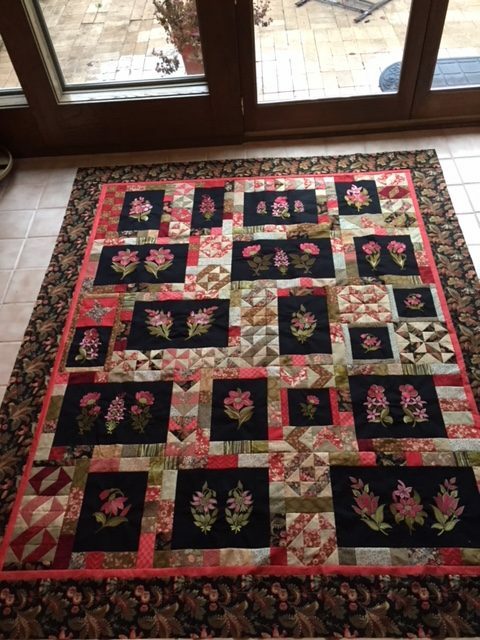 Frieda finished her quilt top. 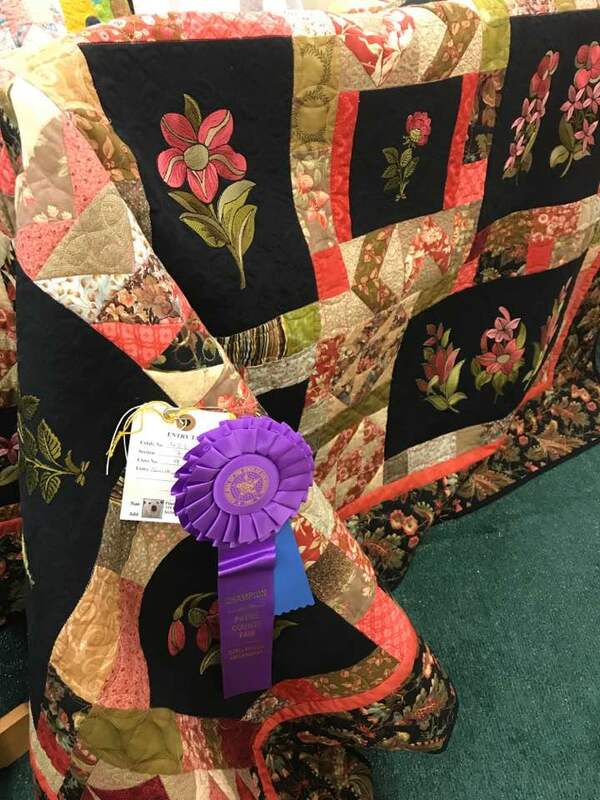 The colors are amazing – the quilt looks so different and rich! Frieda used Vicki Parnell’s instructions. 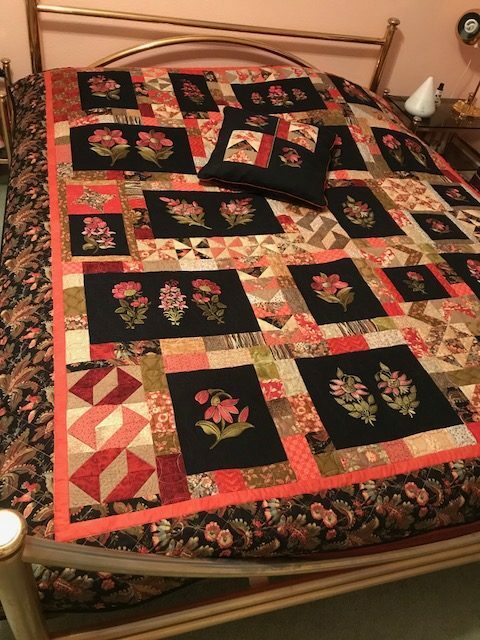 “Here’s a picture of the Quilt on my bed (also made a pillow to match) and a close up picture. 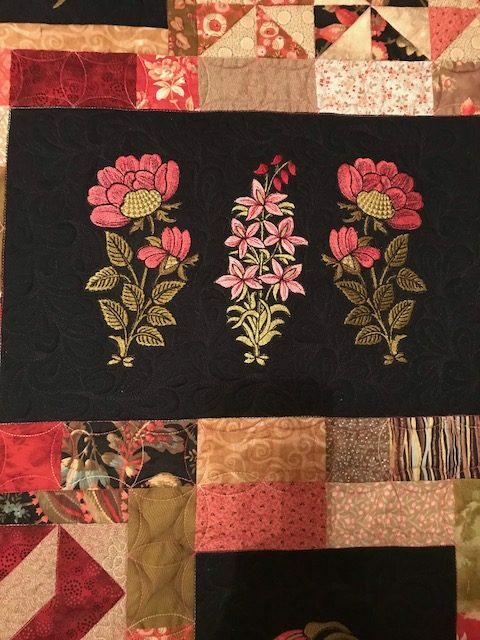 I really love your designs, and absolutely love this quilt.